Scientists genetically create a new Pokémon, Mewtwo, but the results are horrific and disastrous. Ash Ketchum must gather the three spheres of fire, ice and lightning in order to restore balance to the Orange Islands. In the town of Greenfield, a young, lonely girl's dreams and wishes are brought into reality by a collective of reality-warping Pokémon. Ash must stop a hunter who forces the mythical Pokémon Celebi to help him destroy a forest. Two thieves take control of an ancient weapon designed to defend the canal city of Altomare. Follows the adventure of Satoshi with his Pokemon, Pikachu and his friends to become the Pokemon master. 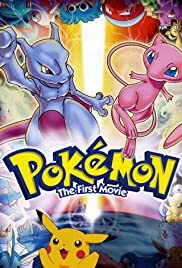 When Pikachu is taken to the Tree of Beginnings by the playful Mew, Ash Ketchum and friends are guided to the tree by Lucario, a time-displaced Pokémon who seeks answers regarding the betrayal of his master. A magician attempts to use the power of the Millennium Comet to awaken the legendary Pokémon Groudon. Ash Ketchum from Pallet Town is 10 years old today. This means he is now old enough to become a Pokémon Trainer. Ash dreams big about the adventures he will experience after receiving his first Pokémon from Professor Oak. An idyllic town is thrown into chaos when two powerful Pokémon, Dialga and Palkia, cross paths and battle, distorting the dimensions of time and space. The only hope comes from Darkrai, a shadowy Pokémon shunned by the townsfolk. Our heroes must protect the Prince of the Sea, Manaphy, from the evil pirate Phantom, and return the young Pokémon to the Sea Temple with the help of the the People of the Water and Jackie the Pokémon Ranger. Mewtwo: Those voices... they're outside... where I must be. I learned more about pacifism from the scene where Pikachu is being slapped around by his evil clone than from Martin Luthor King and Ghandi combined. That scene alone makes this film a classic and well worth seeing. You'll laugh, you'll cry, you'll learn, you'll love.